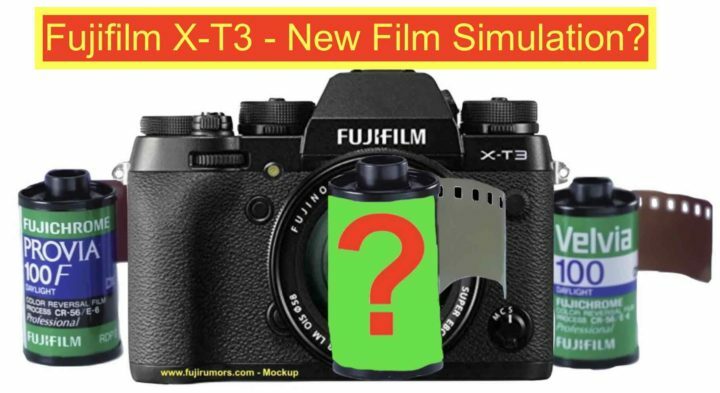 Fujifilm X-T3 Coming With New Film Simulation (New Source). Which One Would you Like? I have a rumor from a new source for you today… so take it with a grain of salt for now, until it’s double confirmed. Thanks to the introduction of a new and more powerful X processor in the Fujifilm X-T3, Fujifilm will give us also new film simulations. I will update you soon on this and more X-T3 rumors, so stay up to date with all Fujifilm X-T3 rumors. In the meatime, feel free to let us now which film simulation you would like next. Make sure to follow us on Facebook, RSS-feed, Instagram, Youtube and Twitter for the latest updates.